Chisholm's New Year's Eve Party! 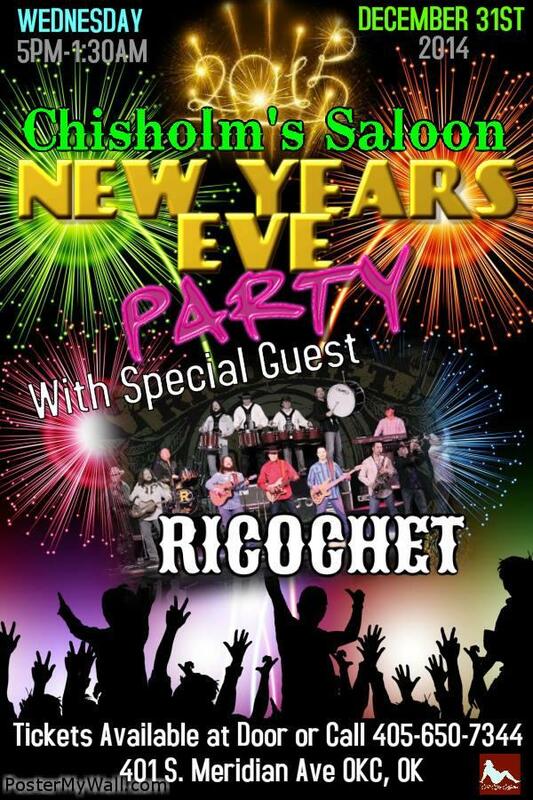 Chisholm's will be having one of the hottest New Year's Eve parties in OKC featuring Ricochet live in concert! Make your reservations soon with Chisholm's or The Biltmore Hotel!! Can't wait to see you there!